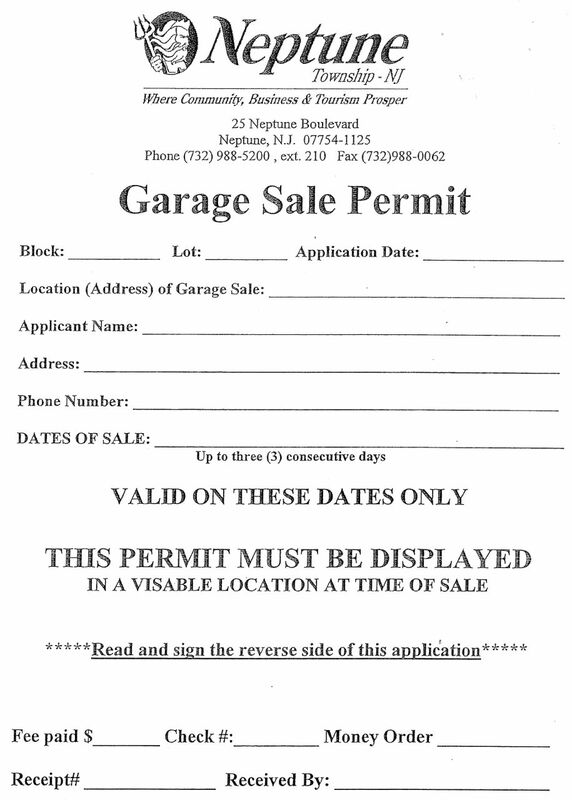 Buying a Neptune Garage Sale Permit for Dummies. 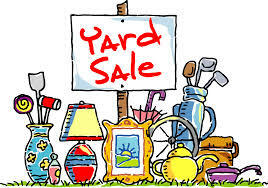 Are you considering buying a yard sale (aka garage sale) permit for the 7th Annual Blogfinger Town-wide Yard Sale on May 12, 2018? If so, this article is for you. When you enter the building, turn right into the Code and Destruction Department where you go to the counter. “What are your block and lot numbers?” You should look that up before you go there, but if you forget, there is a book on the counter where you can research the question, but the print is tiny. Bring someone with you who has good vision. You are asked to list three consecutive dates, but if your sale has a rain date, you may not list that unless it is consecutive. Ours is for the following Saturday May 19. On the other side of the page are, believe it or not, a full page of single spaced “regulations.” They begin by defining a garage sale as including a yard sale, but also restricting the event to only used items owned by the resident of the premises. At the bottom of page two you must sign and date. You cannot sign for another person, so if you are thinking of picking up a permit for your neighbor, you cannot, unless you get some blank forms in advance for advance signing. But you might not want to read that section 416, because it is impossible. Years ago, residents could post notices about their sales on telephone poles around town, but now, the only thing allowed on those polls are the pink ribbons representing Hackensack-Meridian’s mammogram industry. Last year I tried to put up some yard sale fliers adjacent to the pink ribbons, but only the fliers were removed by Chamber cleaning crews. Tell the woman who “takes care of you” that you are involved in the Town-Wide Yard Sale, and you will be charged $5.00 instead of $10.00. You can only have two yard sale licenses within 12 months. So if you can stand the idea of doing it again in less than 12 months, you can, but you will need another permit. As for enforcement of the permits, read the link below. So, who is going to tell Neptune how to spell visible? If they finally have the time to acknowledge you, maybe ask the nice ladies: If I fill out your form and give you my $5, I get what exactly in return that I didn’t have before?